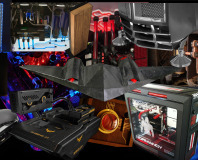 We're just weeks away from our annual spectacular modding competition where we pitch the very best projects of the year against each other as they bid for modding glory. You'll be able to vote for your favourites and pledge them your support nearer Christmas. In the meantime, we've launched our Scratchbuild Index - the first database of its kind on the Internet. 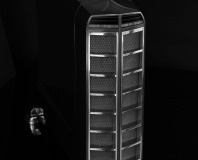 Following the success of our Case Mod Index, which now has over 100 case mods, filtered by case manufacturer and model, the Scratchbuild Index allows you to see projects based on motherboard size, case style and materials used - fantastic if you're not sure where to start when building your first case from scratch. 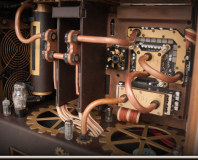 Every month in the Bit-tech Modding Update, we'll now be taking a look at the projects that you've submitted to either the Case Mod Index or the Scratchbuild Index and PC modding and water-cooling etailer Specialtech is dishing out a prize to one lucky person that has entered their project. So if you haven't already, send us your project's details following the instructions below. This month the winner is B NEGATIVE aka Dan Harper who submitted his Mil-Spec project. Well done Dan - we'll be in touch.